Library Mail is an inexpensive way for libraries, academic institutions, museums, nonprofits and similar organizations can send items on loan to one another. These groups can mail up to 70 pounds of books, sound recordings, academic theses and other related media at a time for one low cost. 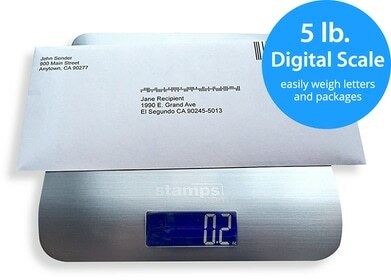 The USPS charges $2.61 for the first pound and an additional $0.49 for each additional pound up to 70 pounds. Just like Media Mail, items sent through Library Mail cannot contain advertising or other non-media materials except for a packing slip. Items take 7 to 10 days to arrive to their final destination. In order to take advantage of Library Mail, USPS requires senders to show a return address or address of a school or nonprofit organization. Some publishers can send items through Library Mail as long as they are being sent to a qualified recipient. USPS will allow you to buy extra services for items sent through Library Mail, including insurance, USPS Tracking, Signature Confirmation, COD, return receipt and restricted delivery. A certificate of mailing, which provides proof of an item sent, and special handling for fragile items also is available. Library Mail is not available to purchase in the Stamps.com software.